Our Juice Club is currently at capacity. Please visit our store in Surfers for a dose of liquid sunshine! Slice 1 Created with Sketch. Slice 1 Created with Sketch. Slice 1 Created with Sketch. Our JUICE CLUB is a super-convenient ‘no-brainer’ if you’re hooked on Cold Pressed Juice and ready to receive a regular, fresh delivery from us each week. Simply choose from our two signature 6 pack bundles or build your own 6 pack bundle from our range, complete your subscription order and then forget about it. We’ll handle the rest! PLEASE NOTE: Juice Club Member deliveries take place on a Monday and Thursday for the Gold Coast and Tuesday for Brisbane. At check out you’ll be required to select the week you’d like your first delivery. From there, you’ll receive your subsequent deliveries consecutively on the same day each week for the term of your subscription. 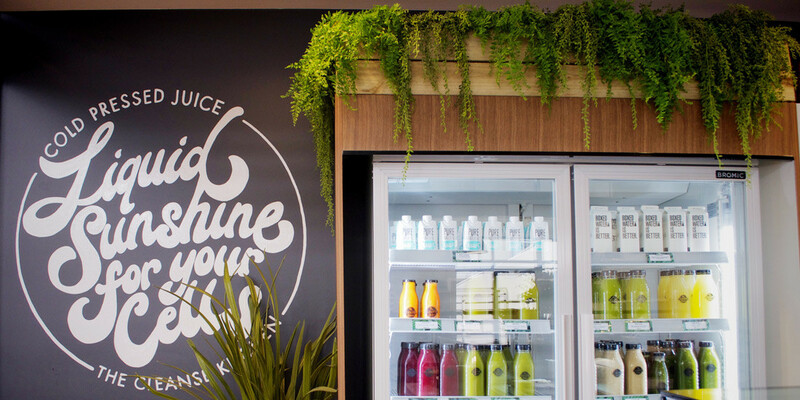 If you’re a cold pressed juice addict like us and 6 Juices a week just isn’t enough, Gold Coast customers can now get TWO deliveries per week (Mondays and Thursdays). Simply purchase two separate subscriptions and select Monday as the delivery day for the first one and Thursday for the second one. Please note: To receive these two deliveries per week, you must purchase two separate subscriptions. Simply use all of the same details (email, address etc.) for each subscription at the checkout. For a happier environment, our driver will collect any clean bottles you leave out for return to us, each time we deliver your weekly order. You can even put your delivery on hold. When you choose a 3 month or 12 month subscription, simply give us 48 hours notice to pause your delivery and we’ll automatically add those weeks on the end of your completion date. See T’s & C’s for more information. ***In the case of your subscription being cancelled prior than the time frame selected, one (1) transaction to the value of one (1) week will be processed from your nominated banking method (i.e PayPal, eWay). "I felt so amazing after my last cleanse, I am keen to do another. I had so much energy at the end, jogging each morning with my dog rather than my usual walk." "I will definitely continue to cleanse and use The Cleanse Kitchen. I have already done two 3 day cleanses and a 1 day cleanse with you, and after previously doing a 3 day cleanse with another company, I can honestly say it was no where near as good as yours!" "Your juices taste great and are an amazing way to get rid of all the junk in my gut from poor diet choices (whoops hehe)." "I've only ever chosen The Cleanse Kitchen for my cold pressed juices and I've loved it!" "I absolutely love how fresh and clean I feel after a juice cleanse and even when I'm not cleansing, just the feeling after having one of your beautiful juices on any day!"